Sharply elevated, irregularly shaped lesion growing outside the boundaries of the original wound. It may be accompanied by pruritus (itchiness) and pain. It does not disappear with compression therapy. It may appear some months after surgical incision. It is more likely to appear in some parts, such as shoulders, ears. 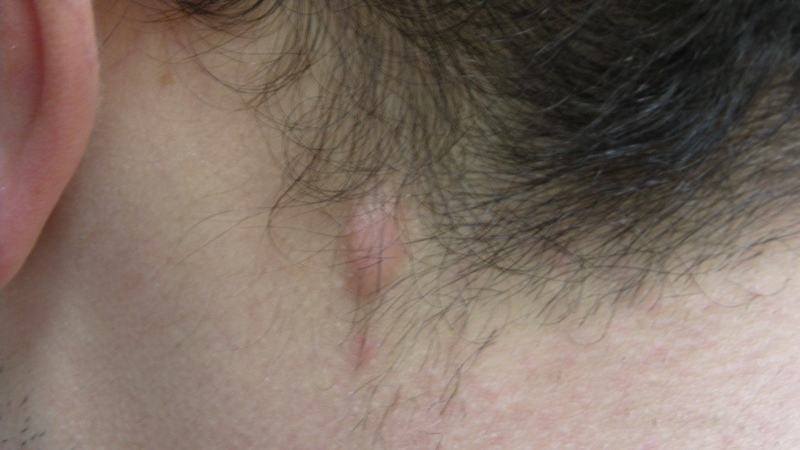 It is not directly associated with the cutaneous tension. a. Fiber keloid: with a great number of fibroblasts and fibro collagen. b. Fibrohyalin: abundant collagen fibers.